You need to try this no bake energy ball recipe if you are a big fan of brownies! 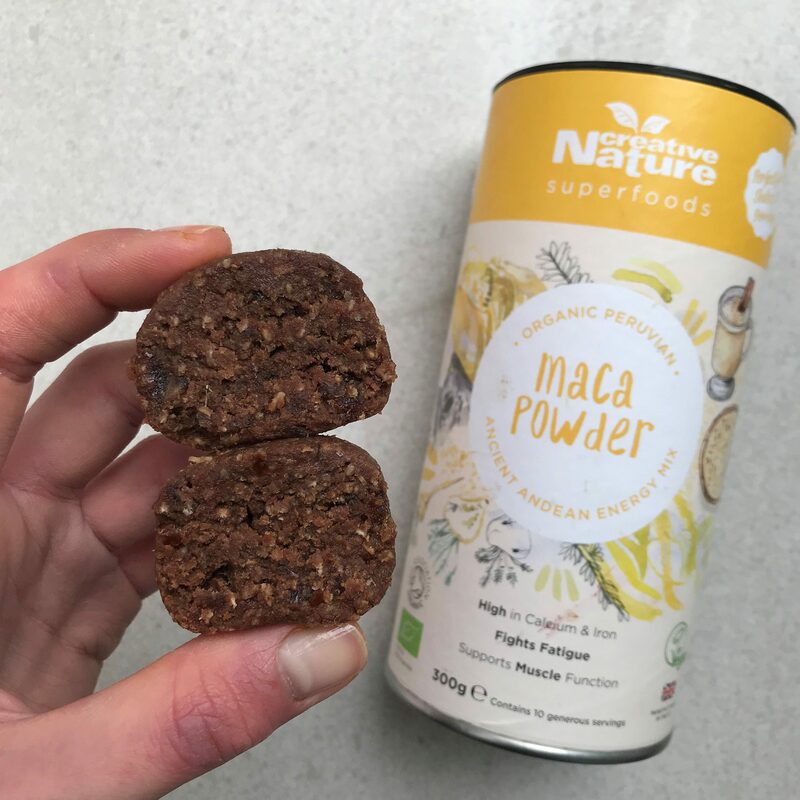 Featuring our Maca and Cacao Powder, these treats are packed full of flavour and goodness! Maca is known to support hormones and give you a natural energy boost, while cacao is known for its antioxidants, vitamins and minerals! Pairing the two together in this recipe creates the ultimate morning / afternoon snack to keep you going through the day. Add all of the ingredients to a high speed blender or food processor and blend until the mix comes together. Take a small amount of the mixture and using your hands, shape in to a ball. Repeat with the remaining mixture until you have 12 energy balls. Pop the balls in to the freezer to set for an hour. Store in the fridge where they’ll keep for up to a week or the freezer where they’ll last up to 3 months. Thank you to @nourishingyas for this amazing recipe! You can find more here on her blog.